The beautiful city of Westfield, MA is home to a variety of businesses- from small mom and pop shops to large corporations, and everything in between! Westfield is located in Hampden County and along with its thriving business districts, it offers a community driven place for people to lay down their roots. The pest professionals found at American Pest Solutions want to help home and business owners in Westfield keep their properties free of the insects, spiders, and rodents that also like all that Westfield has to offer. Through our home pest control services, commercial pest control services, and specialized pest control solutions we have what you need to protect your home, family, business, and customers from pests! 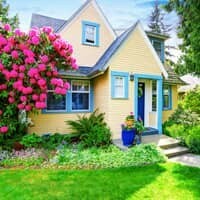 To provide your home with the year-round protection it needs against the wide variety of common household pests found in Westfield, trust the pest control experts found at American Pest Solutions. With our help you will no longer need to worry about pests entering your home and becoming a nuisance and/or danger to you and your family. Our PestGuard Program provides the following services. An inspection of your home and property. A minimum of 4 follow-up visits during the 12 month service period. Exterior treatment of your home, interior treatments if a specific problem arises. The peace of mind of having complete year-round protection against common household pests. Twenty-four hour service for all of our commercial customers. Fully licensed technicians that are continually field trained by our staff entomologists. Transparent Accountability - This trademarked program allows our customers secure online access to pay invoices, view and update account information, view and print statements, schedule service, view billing and service history, and detailed device inspection with bar coded reporting. Experience dealing with specific pests like bed bugs, rodents, termites, ants, roaches, and wildlife. Bed bugs are a huge concern for both home and business owner living in western Massachusetts. To help avoid a large-scale bed bug infestation it is important to schedule routine bed bug inspections for your home or business that are followed by professional treatment if need be. At American Pest Solutions we want to provide you with some helpful information about bed bugs that can help you to avoid a bed bug infestation. Bed bugs aren’t found living in hotels and motels alone. They can be found in almost any public setting. Libraries, movie theaters, bus stations, airports, schools, and dormitories. Bed bugs move from location to location by hitchhiking; keeping personal belongings like purses, coats, luggage, and bags up off of the ground is important to help prevent them from crawling onto them and into your home. After traveling make sure to thoroughly vacuum out and wash luggage before storing it away for the next trip. Also, wash all clothing in hot water immediately after returning home. Routinely wash coats, hats, scarves, bags, backpacks and similar items. It at all possible do not purchase used furniture, mattresses, and clothing. To learn more about bed bugs and how American Pest Solutions can help to prevent and control them in Westfield, MA give us a call today! American Pest Solutions is a local pest control company that serves the communities we all live and work in; we provide a wide variety to pest control services to meet the needs of anyone in Westfield. For over 100 years we have been dedicated to providing effective solutions to any pest problem. All of our employees are extremely dedicated to the pest control industry and take pride in providing the very best services for all our customers! We are also extremely excited to be able to say that we are a QualityPro Certified company and we have an A+ rating with the Better Business Bureau! Contact American Pest Solutions today for more information about any of our industry-leading pest control solutions!